Coming down heavily on the May 2 police firing leading to the death of two anti-dam activists – Monk Nyima Wangdue and Tshering Tenpa – in Arunachal Pradesh, the National Alliance of People's Movements (NAPM) has made this the occasion to demand a complete moratorium on all 250 hydro dams being planned in the North-Eastern border state. “The overall planning of hydro development in the state and Himalayan region needs a thorough examination keeping in mind the people’s interest first, until then put a moratorium on the planned projects”, it said. 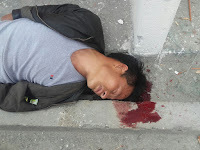 The death of two anti-dam occurred when hundreds of people were protesting against the arrest of Lama Lobsang Gyatso, one of the most vocal opponents of hydropower projects in the Tawang region and secretary of Save Mon Region Federation (SMRF), an organization of the Monpa Community in the Mon-Tawang region of Arunachal Pradesh. SMRF, suggested the NAPM, is not the only organization which is opposing the hydro projects in Arunachal Pradesh. “The Krishak Mukti Sangram Samiti (KMSS) has been opposed to the Lower Subansiri Hydroelectric Project, which would threaten the livelihood of more than five lakhs of fishworkers, farmers and others dependent downstream”, it said. “It needs to be noted that even though a eight member expert committee report is awaited the construction on the dam has started once again, facing challenge from people”, it added. Demanding an independent judicial commission, under the Commission of Inquiries Act, headed by a sitting or retired judge, to investigate the whole incident, including role of police officials, local MLA and other politicians, the NAPM insisted that the police officers involved, including the superintendent of police, the divisional commissioner and others should be suspended with immediate effect.